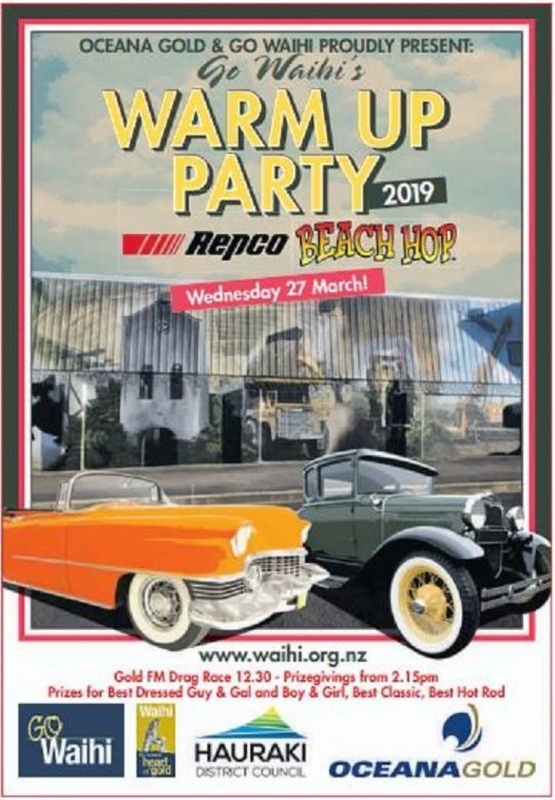 GO Waihi will be turning up the rock n roll volume on Wednesday March 27 for Waihi’s Warm Up Party for Beach Hop! Hundreds of hot rods and classic cars will be rolling into town just after 10.30 to put on a show and shine to dazzle visitors and locals and you're invited to the party! Ladies … pull out the polka dots and ponytails, guys … slick back your hair, turn up your collars and come to Waihi’s Beach Hop Central for the ‘car-nival’ atmosphere. Shop 'til you drop at the Waihi Hop with bargains and stalls throughout town.